When it comes to contouring, there’s a fine line between enhancing your features and painting on an entirely new face. We’ve all seen the Instagram posts and the Youtube tutorials of makeup enthusiasts lining their faces with brown and white lines and then blending like there was no tomorrow. Not only is this hyper-sculpted look incredibly time consuming (seriously though, who can be bothered?) it’s actually very ageing and can make you look far older than you are. The basic principle of contouring is that the dark shades recede and conceal the prominent features and the lighter shades highlight and bring them forward. So how do you find this balance between defined features and a look that’s natural enough to wear out day-to-day? The new Instamarc contouring palette from Marc Jacobs Beauty seems to be a good place to start. 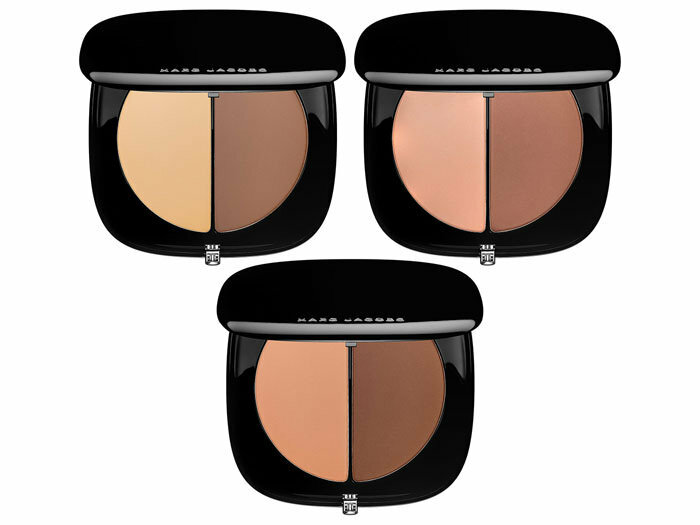 It’s a silky duo of sheer contouring powders, one light, one dark, that work with the natural contours of the face to enhance dimension and add depth. Whether you’re a contouring pro that wants sculpting make-under or a complete contour newbie, Gilbert’s super simple tips will help you get a gorgeous, defined look, perfect for day or night. You can easily adjust your look according to the occasion or time of day. Do you contour? What’s your favourite product?